Dash Nigeria needs a creative marketer skilled in cold calling and also ready to learn about Dash Blockchain Technology. Salary above 50,000 Naira monthly with clothing allowances. The company is a firm of Architects and building professionals. Qualified candidates should send CV to cv@aquarianconsult.com using the job title as subject of the Email. *Ready to travel within and outside Nigeria at the shortest notice. Proficient in the use of Microsoft word, Microsoft Excel, PowerPoint etc. Interested and qualified candidates should send their CV’s to: jobs@myjoyfoodng.com using ‘Personal Assistant (PA) To MD -REF PA2018062’ as subject of the mail.Application Deadline 30th May, 2018.Note: Only shortlisted candidates will be contacted for interviews. Interested and qualified candidates should send their Applications to: nig.executive.assistant@ladlasprince.comclearly stating name, role being applied for and company’s name as the email subject. i.e. Tunde Pedro – PA/Admin Manager – Tunde Adejumo & Co. Application Deadline 25th May, 2018. 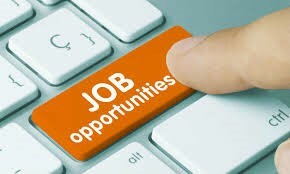 Interested and qualified candidates should forward their Resume with “Role _ Location (Loan Sales Executive _Lagos)” applying for as subject to: careers@workplacecentre.comApplication Deadline 8th June, 2018. Must have completed NYSC or on the process. Regular verification of addresses of customers (physically going to these locations) in different areas of the city, to ascertain the authenticity of certain facts and prompt reporting of information obtained. It’s a flexible and energy demanding job. Payment of four hundred naira (N400) is made for each address verified in a day. There are no other additional payments apart from the above stated amount. We are looking for a Methodical Research Analyst. Ability to interpret large amount of data and to multi-task. Excellent knowledge of statistical packages and MS office. Search engines, web analytics, and business research tools acumen. Adequate Knowledge of data collection method. BSc (English, Law, Statistics, Marketing). customer focused, result oriented, leadership quality, energetic & assertive, knowledge of avaya and reporting structure, proficient with excel, word & power point, team player desired attributes relevant industry experience, should have planning and organizing skills, good interpersonal skills. Interested and qualified candidates should send their CV’s to: jobs@lorachegroup.com with the subject as position applied for.Application Deadline 25th May, 2018. Ability to read and write, WASC certificate is an advantage. Specialist in Make-up with minimum of one year experience. Experience in all units of physiotherapy care. Knowledge of public & private healthcare systems. A valid physiotherapy license from MRTB. A desire for personal and professional growth. He/she must have a B.Sc with a minimum of 2nd class grade. MBA will be an added advantage. A minimum of 5 years cognate experience as a Business development manager in the FinTech industry. Must be able to show track record of past achievement. He must be familiar with payment systems, EFT Gateway systems, etc. Be I.T. oriented and must be able to communicate, understand and speak the language of programmers and software developers. Candidate must be able to achieve stretch targets. 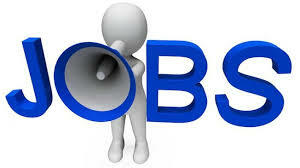 Aggressive marketing skills and strong business acumen is required for this role. Must possess excellent business development intelligence& skills and also a good knowledge of the Nigerian market. Minimum of 3 years corporate driving experience. Must reside around Lekki axis. He/she will define and communicate the business’s KPIs and targets to junior and senior sales personnel on a regular basis, analyse patterns in consumer and market behavior, and subsequently define data-driven action strategies in order to consistently optimize the business’s commercial performance. The role is a data-driven role that requires commercial acumen and a deep understanding of the consumer base, the competitive market, and an ability to analyze sales department performance. The role will also require regular travel to Ondo state. With good knowledge of Lagos especially the Island and Lekki axis. Must have a valid drivers’ license. Candidates should possess OND, HND or B.Sc qualification. Interested and qualified candidates should send their CV’s to: hiringinlagos@gmail.com. Application Deadline 30th May, 2018. Applicants with relevant marketing qualifications and/or experience are preferred. Specific experience in marketing of modem light fittings such as Chandeliers, Pendants, Ceiling and Wall Brackets will bean added advantage. Ability to use MS Office Tools i.e MS Word & PowerPoint. Interested and qualified candidates should send their CV’s to: careers@finchglowtravels.comUsing the “Job Title” as the subject of the mail.. Application Deadline 22nd May, 2018. Interested and qualified candidates should send their CV’s to: careers@protegemanagement.com.ng Application Deadline 25th May, 2018. Must be able to design and implement overall risk management processes. Ability to understand the business and market environment in Ibadan. Interested and qualified candidates should send their CV’s to: ccfi@yahoo.com. Application Deadline 1st June, 2018. Must be knowledgeable about business/markets in Ibadan and how they function. Minimum OND, Must be knowledgeable about markets environment in Ibadan. No experience required. Training will be given.